Modern business is challenging, not only because of competition or recession but also because of the limited number of skilled & talented people. Every time an organization post a job classified, it would probably be getting hundreds of job applications but choosing the right talent for that post is really crucial for the success of the organization. 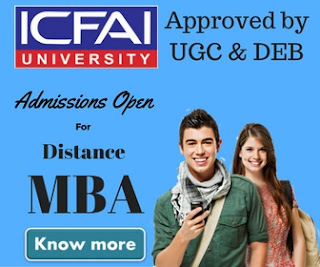 Because of this changing scenario, it's getting difficult for the students especially for females which MBA specialization they should choose to get a better job. 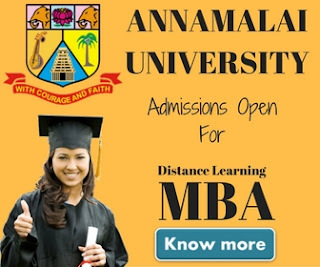 There are various popular MBA specializations available ( like traditional specializations i.e Marketing, Human Resources, Information Technology, MBA in Finance etc and some trending MBA specializations i.e MBA in media marketing, MBA in tourism & travel management, MBA in healthcare management etc.) but choosing the right one helps in design the right career path for you. Following are the points which females should keep in mind while choosing the MBA specialization for themselves. Every woman has her own personality. We advise you to think how your own personality traits may relate to MBA specializations you're considering. A female who loves to travel and has guts to convince people to take an action is right for the post of Sales & Marketing. On the other hand, a female who has a personality to make other people follow her is the most suitable person for Human Resource & Admin related job. Sometimes reading your own personality & association its trait with your career helps you to choose the right specialization. A person may have more than one trait in her personality but you've to make out which trait creates a passion in you to do a particular job. If you have a trait in your personality that you easily convince anyone to do a particular task but traveling is not your passion, you should consider a specialization other than Marketing or Sales. Generally, people do a big mistake while choosing their MBA specialization that they choose a specialization based on what other from their group are choosing. Don't do this mistake ever because your career goals, your ability & personality could be totally different to the person you are following in choosing your major. At the but not least must see the job potential in the specialization you're considering to choose, after all, you're doing your MBA to get a job. Some MBA specialization has a lot of jobs but some have very little. Be wise while taking this decision & choose the one which can easily get you a good job with of course a good salary. If you're doing an MBA to get an internal promotion in your organization, choose the programs which match to the profile requirement you want to get in your company.